Moving offices, serious as it is, can be pretty stressful both for you and your employees. This on the other hand would result in disruption of the working process and losses to your company and those are the things that you want to avoid. You have no reason to worry though because we are able to provide you with an adequate and cost-efficient solution. 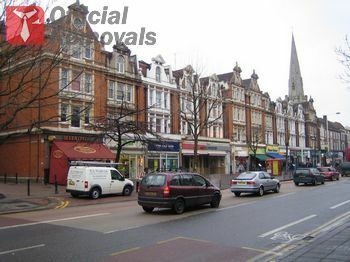 We are a company with traditions at serving the local business community with efficient Ealing office removals. We have carried out a large number of office removals in Ealing over the years and the members of our team has gained the knowledge, the skills and the experience that make them the best experts in their field. Forget about staying late after work packing your items, or wondering how to manage the logistics of your office removal. We will take care of everything for you. From planning to packing to lifting even the smallest box, our staff will work tirelessly until all your needs are met. We have developed a special packing method that enables us to get the job done right and quick. In that way you and your employees will neither feel the discomfort of having other people wandering about the office, nor your company will have to suffer a disruption of the working process. We will pack and load everything on one of our trucks, secure its safety with the full safety gear that is required by the standards of the business and drive it to the newly assigned location, where we will unload, unpack and re-assemble your furniture, equipment and other items. You will be able to move in and resume your work the moment we are done with our job. This is definitely the most hassle-free solution that is to be offered when it comes to office removals, and we will deliver it to you on some of the most competitive prices that are to be found in the area today. Call or write to us to book your office relocation and save yourself the worries, the stress and the strain.